1Excludes L model. Not available with special financing, lease and some other offers. See participating dealer for details. 2Prices do not include additional fees and costs of closing, including government fees and taxes, any finance charges, any dealer documentation fees, any emissions testing fees or other fees. All prices, specifications and availability subject to change without notice. New vehicle pricing may reflect rebates or factory incentives. Eligibility for special pricing and other mark downs will be determined at the discretion of the dealer. Prices and terms of incentives or other special offers are subject to change. Not all customers will qualify for all rebates.Contact dealer for most current information *EPA Estimates Only 3Excludes L model. Not available with special financing, lease and some other offers. See participating dealer for details. 4Must qualify through GM Financial. Not available with special finance, lease, or some other offers. Take delivery by 04-30-2019. See dealer for details. 5Excludes L models. Monthly payment is $13.89 for every $1,000 you finance. Example down payment: 5.2%. Must finance with GM Financial. Some customers may not qualify. Not available with lease and some other offers. Take new retail delivery by 4/30/2019. See dealer for details. Why is the Equinox such a popular SUV in Altus? 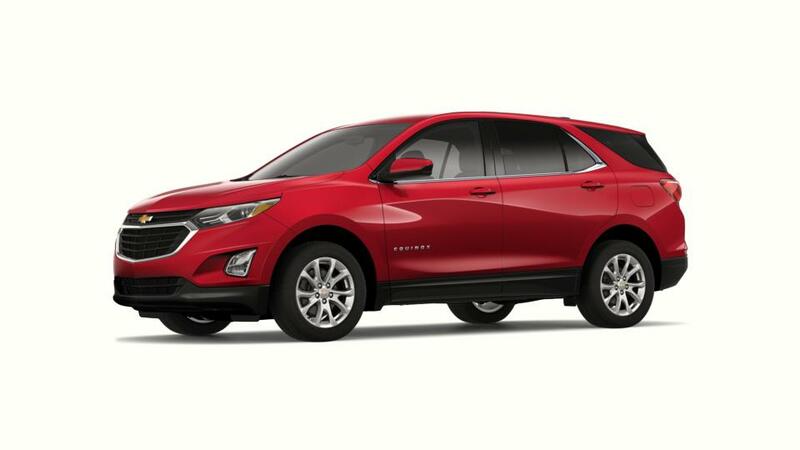 •The Chevrolet Equinox is a crossover SUV that is adaptable, fuel-efficient, and exciting to drive. •It gets impressive gas mileage for its class and some models can tow up to 3,500 lbs., making this an ideal road trip vehicle. •Available built-in 4G LTE Wi-Fi and the ability to connect up to seven devices will keep you connected on the go. •It has Multi-Flex sliding rear seats to deliver you and your family all the space you need. • A 2.4L 4-cylinder engine is standard, but you can pick the available 3.6L V6 engine with 301 hp for additional power. Browse our inventory of new Equinox in Altus to find the color and features that are right for you. Give us a call at (877) 418-1397 with any questions you may have on buying or leasing an Cruze.